12 Tables & Tandem Winery. In vino veritas. In vino veritas. 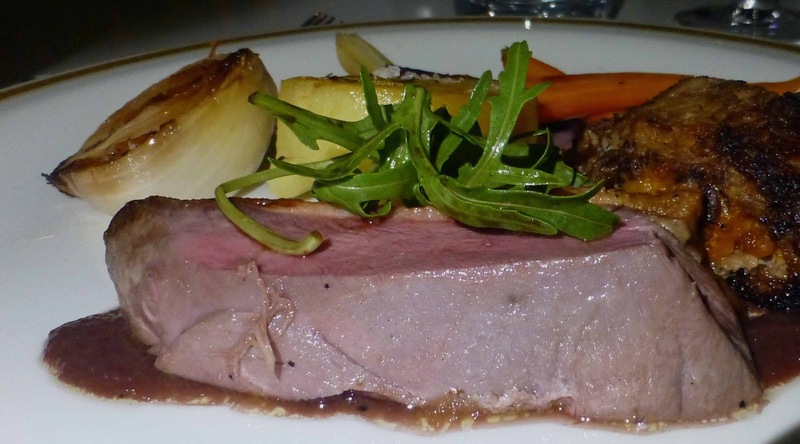 And truth to tell, there was good wine, good food and good company as some fifty diners enjoyed the Tandem Winery Tasting Dinner at the 12 Tables in Douglas last Wednesday. The truth of another Latin saying, Dove regna il vino non regna il silenzio (Where wine reigns, silence does not) was also well illustrated on the night. But, what’s with all the Latin boy? It is a theme at the Navarra based winery. Tandem itself is Latin for “finally” and nothing to do with bikes while the names of the individual wines are in Latin (or derived from it): Casual, Inmacula, Ars In Vitro, Ars Nova, Macula, Ars Memoria, and Inmune. Tandem is of much more recent vintage than the ancient Latin tongue, founded in 2003 by by Alicia Eyaralar, José María Fraile and a small group of wine-loving relatives and friends. José was in the 12 Tables having left Pamplona at 5.00am that morning on a route that brought him to Cork via Madrid and London. The vineyard is quite close to Pamplona and on the northern edge of the Navarra wine region. “We like freshness and elegance and luckily we’re in the coolest part of the appellation. It is super green where we are, a big contrast with the desert in the south. The Atlantic influence, the cool summer nights and picking late in the season is good for the grapes and we get that natural acidity.” We would soon see how that acidity helped with the food pairings. Their rosé, or at least the very first version of it, was more or less an accident and hence the name Casual. A very enjoyable accident though, as we appreciated on arrival. 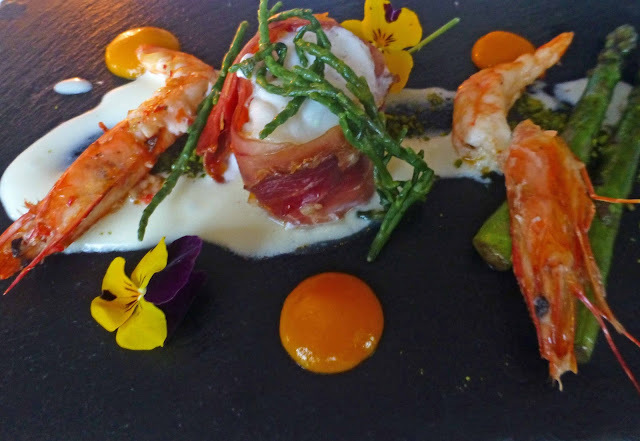 The kitchen, with chef-patron Dave Farrell at the head, produced an excellent starter: Serrano wrapped Monkfish, spiced crevettes, roast pepper purée, pistachios pickled samphire and Parmesan cream. And the wine was the Immacula (meaning without blemish), a blend of mostly Viognier and 15% Viura. It is fermented in French oak (not new) and kept on its fine lees for three months to gain texture and volume. “It is very successful for us and highly rated and there is nothing of it left at the winery.” We were on a winner. Up next was Jack McCarthy’s black pudding rosti, caramelised Radicchio, golden beets, wild mushroom, Crozier blue cheese and aged balsamic. Quite a lot going on in that plate and José had a favourite wine to match, the Ars in Vitro (art in glass), an unfiltered, unoaked wine with fruit and fragrance and a silky palate, raised for a minimum of two years. “How wine for me should taste,” remarked Jose. This 2014 has been raised in concrete. 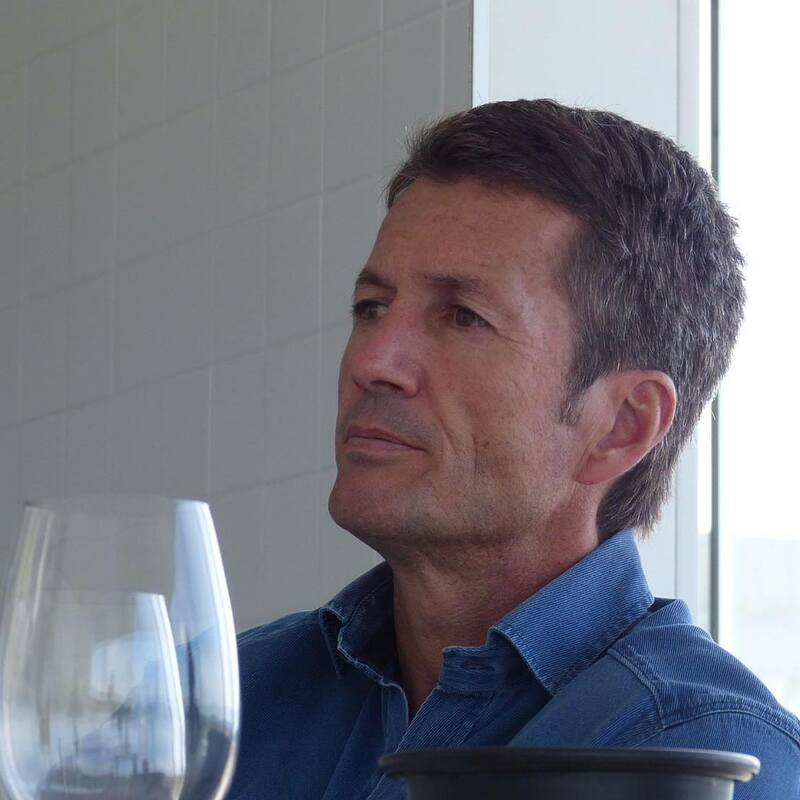 “Nowadays, concrete is accepted, the epoxy lining has made the difference, more complexity, more tannins, more colour, finesse and elegance.” It is a blend of Tempranillo and Merlot. Great too with duck as it turned out as the kitchen pulled out all the stops with Tea Brined Skeaghanore Duck breast, Almond and Apricot roulade, potato confit, charred onion, baby carrots and roast shallot purée. Quite a climax. 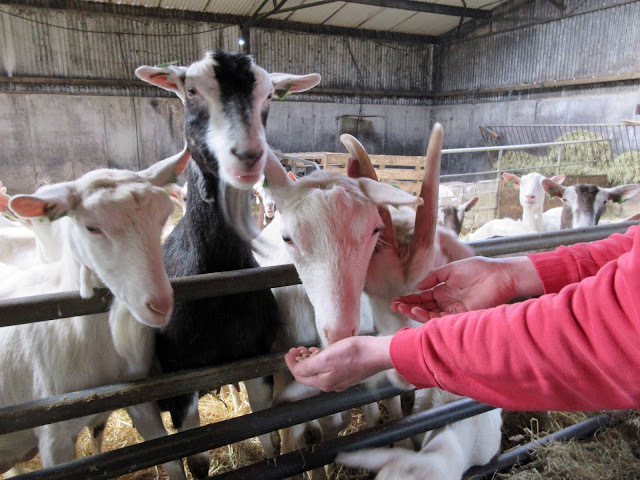 We eased out with a Trio of Artisanal Cheese with Fig Jam. 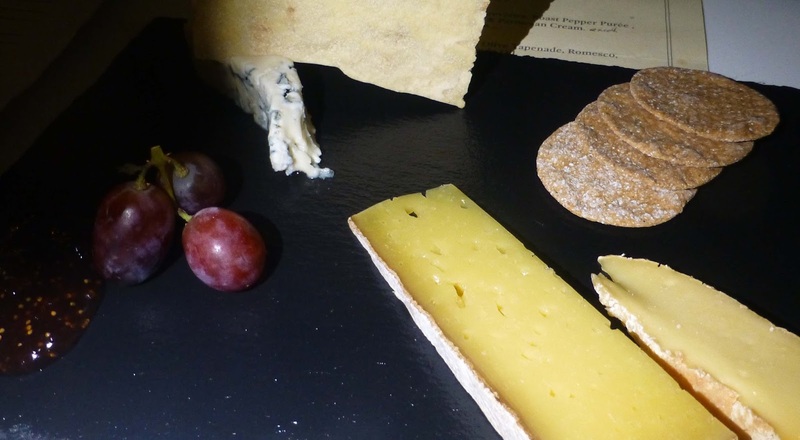 The cheeses were Roquefort, Milleens and Tipperary Cheddar and the wine was Mácula, described as “a masculine wine of good length” and a blend of Cabernet Sauvignon and Merlot from 2011. Tandem are slow to let their wines off to market. This, for instance, spends a minimum 24 months in concrete and 26 months in 300-litre French oak barrels. José was delighted with the reception for his wines. “It has been an incredible dinner, fantastic being here. 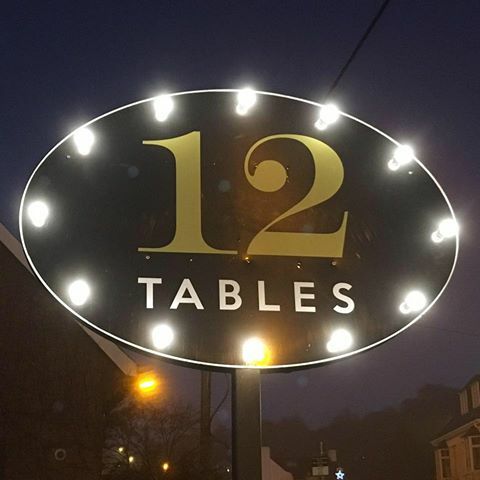 I'm so happy.” Nicolas thanked the kitchen and front of house at 12 Tables saying “We’ll do it again!”, a sentiment that went down well. In vino veritas. You may view a video of José talking about Tandem and its wines here. Check the Tandem wines in stock at O’Brien’s website or just call in to Nico at their Douglas branch! All the news, including menus, from 12 Tables in Douglas is here; also on their Facebook page. 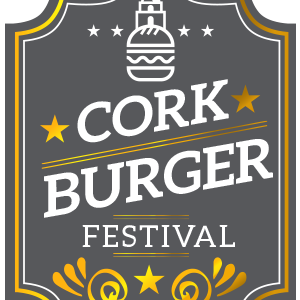 The first Cork Burger Festival runs from January 30th until February 5th. The local cafes and restaurants have climbed aboard in impressive numbers and, if you love your burger, you are going to have some tremendous choices over the week. Below you'll find a selection of what is on offer. More details on the Festival Facebook page here. 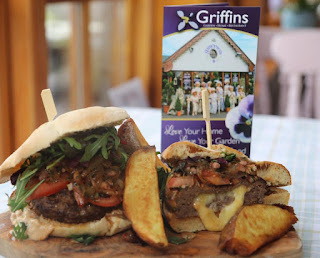 The White Horse in Ballincollig have a Seven Day Burger Battle on, with a tasty clash each night. Friday's duel between the Texan and the Mexican looks saucy with a repeat thrown in on Saturday if you want to switch sides. Soho Bar have joined in the fun with their Three Rebels, three different sliders and a pint of beer for a tenner. If you’re in Son of a Bun, watch out for the Wonka ticket. Each burger special you order on this fantabulous week will be hiding a Son of a Wonka ticket. If you happen to be the lucky winner of one of their 7 golden tickets you will be in for a treat! “For the next 5 months you will get to have our burger of the month on us!” Limit 1 burger each month per ticket holder. New Douglas restaurant, 12 Tables, are running a Burger Battle Royale. On one plate you've got the Mick O’ and, on the other, its The Big Fella. That’ll take some sorting. 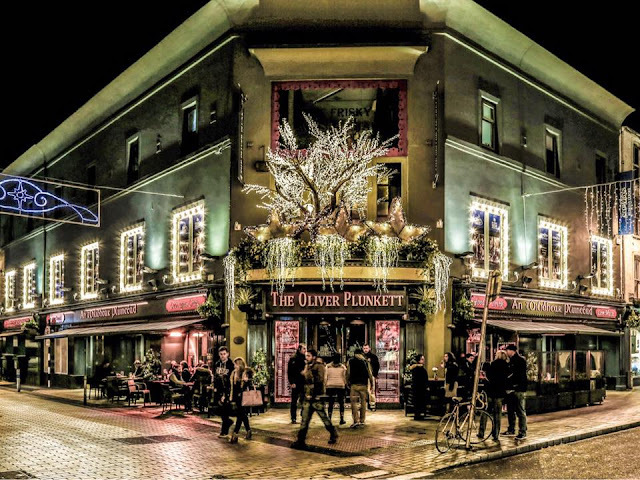 If you’re up to big, then maybe the Oliver Plunket is the place to be. Here’s the challenge. The Big Boy (he who dares, WINS) 32oz burger topped with Bandon Vale cheddar, lettuce, tomato, onions served with a side of fries; €30, finish it and it's FREE! If you can't make it to a restaurant, Davidson’s Craft Butchers have offers on burgers all week. Keep up to date here. You’ll find the Great Griffin in Dripsey at Griffin's Garden Centre. It looks tempting. Check out their Facebook page for giveaways. 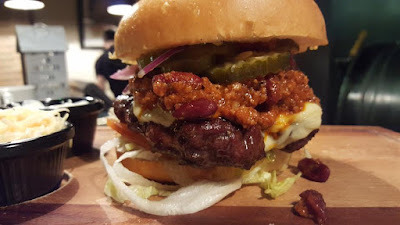 And be sure too to tie up the horse at the Bad Boys where you can tuck into their 8oz Smoked Rodeo Burger topped with Chilli Con Carne Cheese and Sour cream. Bad! The Meatball Place are also on board with a selection of Speciality Burgers, not just for the week, but for the month! Nine Market Street in Kinsale are doing a four-course Burger meal (dessert is an ice-cream burger). A fab meal at a great price of €25.00 the lot. Date is Saturday the 4th from 6.00pm. Lots more places involved including the Silly Goose (with Ali’s Kitchen). Check it all out on festival’s Facebook page here.